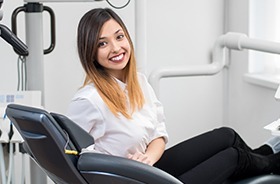 While other dental offices are happy to “drill and fill” at the slightest sign of a dental problem, the team at New Haven Dental Group works hard to prevent those problems from popping up in the first place. Thanks to our excellent hygiene team and dentists, our patients are able to avoid common dental problems year after year so they can spend less time in our dental office and more simply enjoying their smiles. 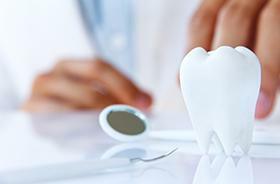 To schedule your next preventive appointment so we can safeguard your teeth, contact us today. 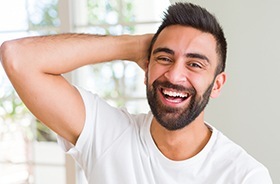 Comprehensive checkups and cleanings are the foundation for every healthy smile, and we go a step beyond your average practice with these routine services. In addition to examining your teeth and gums, we’ll also look at your TMJ and take X-rays and intraoral photographs so that we’re able to catch any decay or damage as early as possible. Then, our experienced hygiene team will give you a refreshing cleaning that removes harmful plaque and tartar and gives your teeth a nice polish! You protect the things that matter, right? The back teeth, with their wide and grooved surfaces, are very susceptible to cavities because they can be quite difficult to clean, but we can keep them safe using dental sealants. We simply apply a clear composite resin to the enamel, and it quickly hardens into an invisible barrier that blocks plaque, tartar, and bacteria from harming the teeth. These are especially useful for young children! Ideally, our patients would only have sweet dreams every time they go to sleep, but for some, they actually experience unconscious teeth grinding while they slumber. 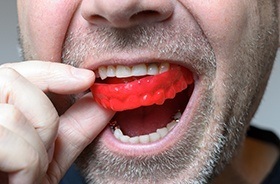 This can quickly wear down and even break the teeth if ignored, but a nightguard provides a simple and effective solution. It’s a custom-made oral appliance worn to bed that protects the teeth from themselves by placing a thin barrier between them. That way, a patient can rest easy and preserve their smile. No matter an athlete’s age or level of play, they should always wear a mouthguard whenever they participate in sports, whether the game involves contact or not! Rather than forcing yourself or your child to wear an uncomfortable, one-size-fits-all appliance from the store, our team can provide custom-made mouthguards designed for a specific person. 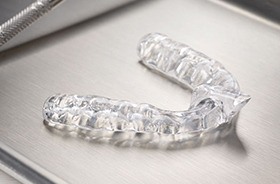 Our sportsguards are shaped to fit snugly around an athlete’s unique teeth, leading to a better fit and higher quality protection you’ll always be able to trust. Oral cancer is a potentially deadly disease that is also very easy to miss early on. Nothing gets past our team’s trained eyes, however, so we perform an oral cancer screening at every regular checkup. That way, we can make sure a patient is able to get the care they need as quickly as possible. We’ll look out for any suspicious growths or sores inside your mouth, and if we find anything, we’ll know exactly what to do next. You’ll find fluoride in toothpastes, community water sources, and…our office! It’s nature’s gift to your smile, because when fluoride is exposed to the teeth, it instantly strengthens the enamel and makes it more resistant to cavities. In addition to using fluoridated products at home, we can provide you and your family with a topical fluoride treatment every time you come to see us, giving you another weapon in the fight against tooth decay. Our practice is over 40 years old, which means many of our child patients are now bringing their own children to come see us! We just love serving the next generation, and our team has experience working with children of all ages. Regular exams and cleanings will help keep your child cavity-free year after year, and our friendly team will bend over backwards to ensure they always have a pleasant time at the dentist. While the teeth can develop cavities if they aren’t properly cared for, the gums can develop an infection called periodontal disease. This can spell serious problems for someone’s oral and overall health, but we’re more than able to handle it here at New Haven Dental Group. Using frequent gum screenings, deep cleanings, and targeted antibiotics, we can help patients quickly eliminate harmful bacteria and restore their oral health at the same time. If you move your jaw from side to side, those little hinges you feel below your ears are called the TMJ, or temporomandibular joint. 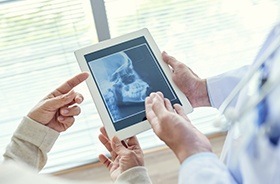 These allow your lower jaw to move fluidly, but it can sometimes develop dysfunction due to a misaligned bite or injury. This can cause chronic pain and stiffness throughout the entire face, head, and neck, and thankfully, our team is able to both diagnose and treat these kinds of issues in-house. Using specially-designed bite adjustments and therapeutic mouthpieces, we can effectively improve jaw function and completely relieve pain. We see nervous patients every single day, and most of the time, our warm and welcoming atmosphere is enough to help calm any anxiety. For patients with more persistent dental phobia, however, sedation dentistry is always available. 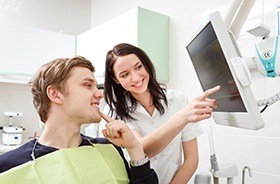 Using either nitrous oxide or prescribed medication, we can help even the most fearful patient feel fully relaxed and at ease during their appointments, no matter what kind of procedure they need. 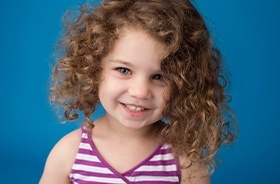 Our options are gentle and safe enough for children, but strong enough for adults as well.